My inner critic is a poltergeist of a child. Loud. Demanding. Mean. Constantly afraid of coming up short, she whispers lies and rules so burdensome that no one can stand under her weight. Not even me. I try to shut her up with an early afternoon pina colada while on our cruise and she just complains about the hour and questions the appropriateness of drinking so early with people she barely knows. What would they think? I am too busy enjoying the cool coconutty goodness in a tall glass to pay too much attention to her. I even keep the cute pink paper umbrella as a reminder that I do too know how to be free once in a while. 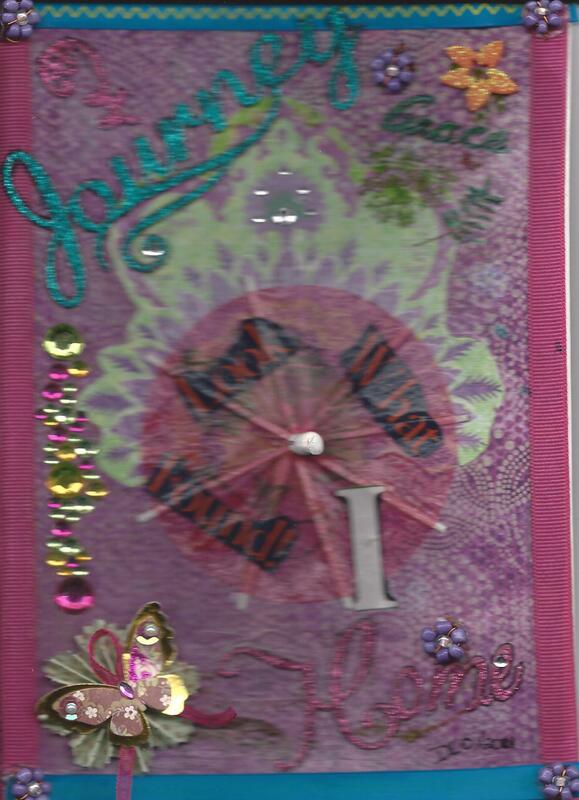 And then as if to spite her, I glue it to the very center of my art journal page just to prove a point.